LEXINGTON, Ky. (July 5, 2018) – Kearney Hill Golf Links is gearing up to host 144 of the best junior golfers in the world. 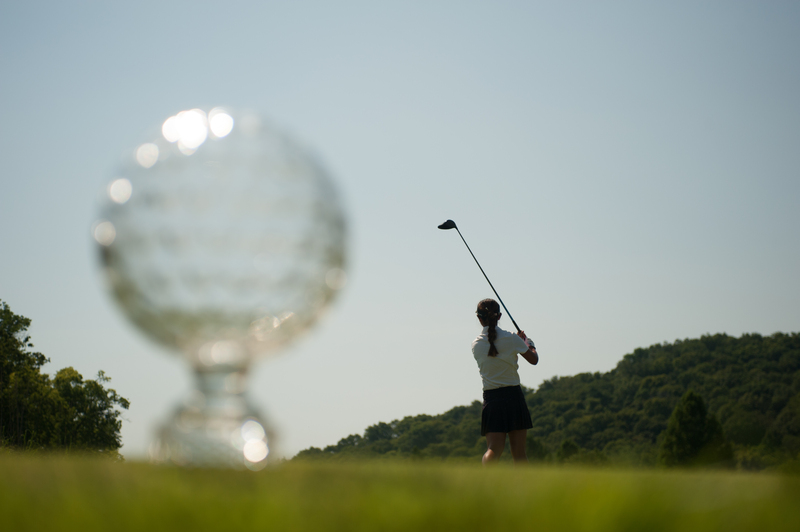 The 43rd Girls Junior PGA Championship tees off this upcoming Monday, July 9. The four-round, stroke-play event will conclude on Thursday, July 12. The field is composed from a number of criteria, including the champions and runner-ups from each of the PGA of America’s 41 section junior championships. In addition, exemptions may be earned via other top-tier national events. The 2018 Championship will showcase junior golf’s most accomplished players, including a trio of Californians: defending champion Rose Zhang of Irvine; 2016 winner, Lucy Li of Redwood Shores; and last year’s runner-up, Yealimi Noh of Concord. Also highlighting the field are a pair of Stanford University commits Rachel Heck (Memphis, Tenn.) and Sadie Englemann (Austin, Texas), as well as the 2017 U.S. Girls’ Junior Champion and future Duke Blue Devil, Erica Shepherd of Greenwood, Ind. For the first time, the Championship will be contested in the Bluegrass State. Kearney Hill is no stranger to high-profile golf tournaments, as the Bank One Classic, a past PGA Tour Champions event, was held at the Lexington property annually from 1990-1997. The U.S. Men’s (1998) and Women’s (2007) Amateur Public Links Championships were also contested at Kearney Hill. Next week’s Championship will feature four Kentuckians: Taylor Edlin (Prospect); Laney Frye (Nicholasville); Rylea Marcum (Georgetown); and Madison Smith (Union). In addition to competing for a national championship, all contestants with U.S. citizenship and members of the high school graduating class of 2019 or younger will have the opportunity to earn an exemption onto the U.S. Junior Ryder Cup Team. The winner and runner-up in the 43rd Girls Junior PGA Championship will automatically make the team and compete in the 11th Junior Ryder Cup. The biennial matches between the U.S. and Europe will be held at Disneyland Paris on Sept. 24-25. A number of golf’s most accomplished players have competed in the Championship, including major winners and two-time Girls Junior PGA Champions Inbee Park (2001, ‘02), Lexi Thompson (2007, ’09), and Ariya Jutanugarn (2011, ’12). Last year at the Country Club of St. Albans (Mo. ), Zhang cruised to a six-stroke victory. En route, she rewrote the record book by matching the Championship’s lowest 72-hole total (268), as well as the lowest second and third round cards (65-66). She also set the record for the best 54-hole score (200).